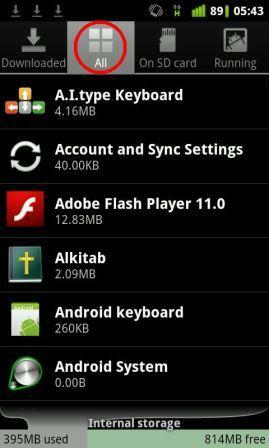 Posted on December 2, 2011 by admin Posted in Android, Android Tips	. There are quite a lot of reasons to change or delete Google (Gmail) Account on Android phone or tablet. For example if you forget your Account Password, you buy used Android device and the Google Account is belong to previous owner, or you just simply want to change it. Whatever the reason, this time I will give you a tutorial how to change Gmail account on Android with or without factory (hard) reset. In this article, I’m still informing how to delete Google account on Android by using factory reset menu just for information for people who don’t know how to do it. What is Android Factory Reset? Factory reset or sometimes people call it hard reset is a method to make the Android device software back to standard or like-new condition out of the box. It will erase all data and applications that are installed in the phone or tablet, including the Gmail account which integrated with the device. If you want to do a Factory reset, you should backup all your important data, files and applications. For the record, factory reset usually can resolve all problems that caused by software error. For example, if there is one of your default application error, unable to start Bluetooth or Wi-Fi, or if your Android phone performance is slow or full of lag and not as good as new. Restart the phone, after that open the Gmail or Android Market application; you will be prompted to enter a new Google Account. If you can’t find the “Google Apps”, you must notice when you go to the “Manage Application” menu, try to look at the top of the screen, is there a Downloaded tab, All tab, On the SD card tab, and Running tab. To find the “Google Apps”, you must click “All” tab first. 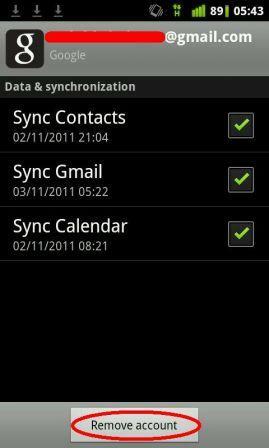 Clikc "All" to find the "Google Apps"
If Google Apps still can not be found, that mean you can’t use method #3 to change Gmail account on your Android phone. Note: In case Gmail application show strange behavior or it’s not functioning properly after you click “Clear Data” on “Google Apps”, then you can solve this problem by “Clear Data” the Gmail Application. The method is same, which is through the Settings > Applications > Manage Applications > Find the Gmail Application > Click “Clear Data”. 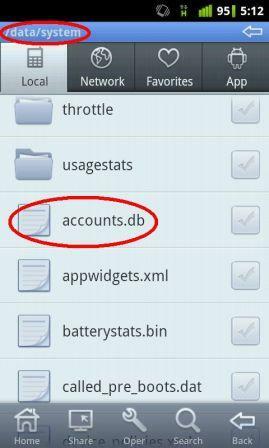 Install the file manager application that can access the root system (the root explorer), for example “File Expert”. Usually, when you first enter the File Expert app, you’ll be on the SD Card folder. Take a look at the top left side of the application, if your current position is in SD card, it will be written /mnt/sdcard. Tags: how to change gmail account on android, how to change google account on android without hard reset, how to delete gmail account from android phone, how to delete gmail account in android phone, how to delete google account on android	.